Convention Center Plaza - Parks Department. 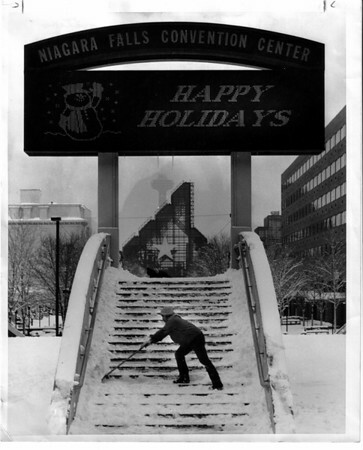 John Rucci of Niagara Falls, N.Y. and Parks Department shovels the steps in front of the Convention Center. Photo - By Bob Bukaty - 12/28/1982.